For playoff teams, in the AFC I got 3 out of 4 of the division winners correct (New England, Indianapolis, and San Diego), and 1 out of the 2 Wild Card teams (Baltimore). 4-for-6 isn’t too shabby. In the NFC, however, I only picked one division winner correctly (New Orleans), although I had the two NFC East playoff teams (Dallas and Philadelphia) picked, I just had their finishing order reversed. So only 3-for-6 in the NFC. And of course, both of my Super Bowl teams—Philadelphia and San Diego—lost their first playoff game last year. Time to see if I can do better. Here are my predictions for final standings and records, with playoff teams and winners in bold as usual. 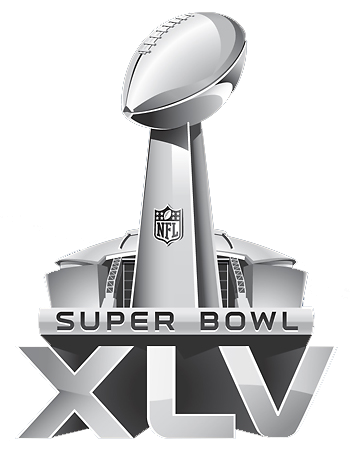 I think Indianapolis will have a hard time overcoming the Super Bowl losers’ hangover, but they’re one team that should be able to do it. While Seattle really has none of the requisite pieces to win more than about 2 games in a season, don’t underestimate the New Coach Factor. They’ll surprise, but only a little. The NFC West is really San Francisco’s to lose. This team reminds me a lot of the 2006 Bears: great defense, solid running game, good enough offensive line and receivers to overcome a nobody quarterback. And no other team in the division has any business sporting a winning record by season’s end. I think it’s time for Brett Favre to go out with a whimper, and I’m looking forward to seeing it. I’ll give him enough credit to believe that he can will the Vikings into the playoffs, but no further. It won’t surprise me if Dallas becomes the first Super Bowl host team to win the Lombardi trophy at home. But it won’t surprise me if they find a way to squander all of their talent, either. Again. Coaches potentially on their farewell tours this year: Lovie Smith (Bears), Tom Cable (Raiders), Jack Del Rio (Jaguars), John Fox (Panthers), and maybe Josh McDaniels (Broncos). I know it’s blasphemous to pick the Patriots to miss the playoffs, but they are just old at this point, so I figure something’ll happen to ruin their perennial hopes. While I think the Saints and Cowboys will dominate the NFC, the AFC seems much more wide-open this year than it has been in recent seasons. Of course, I’m probably wrong on both accounts… as usual. Pats almost lost Brady before the season started thanks to a crappy driver. Luckily Brady was driving a car built to survive such unpleasantness. I won’t be surprised if the Pats don’t make the post-season. The championship era in Boston sports is fading quickly, I’m afraid. Interesting playoff scenario. Completely blew that one. Especially who is in the championship games and the Superbowl. Definitely my least-accurate predictions so far. Don’t feel bad, Mike. We’re all pretty surprised at how the season is going. Sorry, Mike. They didn’t do badly considering a rookie QB got tossed into the game. Couple of mistakes and some dumb penalties. Now I’m quickly losing interest in the SB.